Rebuilding your credit step-by-step to achieve the credit score you want. If you’ve faced challenges with debt, there’s a good chance you’ve taken some damage to your credit. But the good news is that your bad score won’t last forever and there are steps you can take to rebuild your credit, so you can recover quickly. Some steps can start to improve your credit in just 30 days and most of these steps for rebuilding your credit can be accomplished in as little as six to twelve months. These resources will walk you step-by-step through the process of rebuilding your credit. You’ll learn how to review your credit reports and dispute any mistakes or errors you may find. Then we’ll explain how to take positive actions now that can quickly offset any penalties you’ve incurred in the past. If you have questions, just hit the Ask a Question button at the bottom of the page to get in touch with our certified financial coaches. Your credit report contains vital information that determines whether you get approved for loans, credit cards, property rentals and even pass an employment check. So, it’s important to be able to read your report to know what it says and identify potential errors that could be damaging your credit score. Welcome to the Game of Good Credit! If you want to win, you need the right strategy and you must be able to move effectively through your credit report. From start to finish, there are six sections that can come into play. The starting point is personal information. 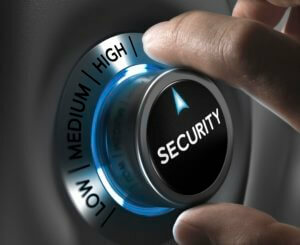 This includes basic details likes your name, address, employers and aliases. As you move along, check that everything is correct – especially for aliases. Because if you get confused for another player it can set you back significantly. The second section you pass through is also the largest – credit history. You move through each account to review payment history and account status. Remember each late payment sets you back, bit by bit. And the longer an account goes unpaid, the further it will put you back. Accounts in good standing with a positive payment history help you move forward. But if you fall behind you can also land on other negative items, like collections, charge-offs, repossessions and foreclosure, which can really cost you credit-wise. The next section is where you encounter credit inquiries. Too many hard inquiries from authorized credit checks can set you back here. The next section covers public records, like civil lawsuits and court judgments. If you don’t have any of these records on file, this section may not appear and you can skip ahead. But if you owe something like bad child support, it can slow you up. And you may have to payout in order to get moving again. This section also includes third-party collection accounts. These can put you back in a big way, so it’s best to avoid them. Next, you’ll run into a section for consumer statements. If you lose a dispute to remove a negative item, you can add a consumer statement that explains what happened. The effect of these statements on your game is always neutral. Finally, you’ll encounter a summary of your rights under the Fair Credit Reporting Act. This isn’t really part of the game, so much as a list of rules for fair gameplay. If you read this it helps you understand your credit better so it’s easier to win. You can learn about all of the rights protected by federal law, so it’s easier to win and achieve the best score possible. It’s important to note that each credit bureau has their own version of your credit report. So, fields may not be exactly arranged the same from one bureau to the next. While the board may look a little different, gameplay should be the same. For more information on winning the game of good credit, visit ConsolidatedCreidt.org. 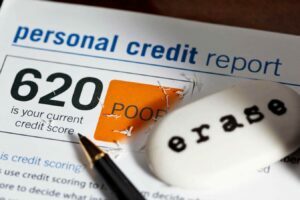 An FTC study in 2013 found that 1 in 4 credit reports contains an error and 1 in 20 contain an error that would damage the consumer’s credit score by 25 points or more. So, it’s in your best interest to review your credit report regularly so you can spot any errors. 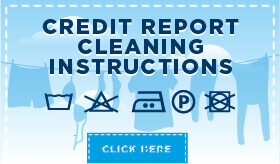 When you find them, follow these instructions to clean up your credit report. Once you clean up your credit report to correct any mistakes, it’s time to take action to rebuild your credit. You can’t erase negative items that you legitimately incurred. But the good news is that you can quickly offset them with positive credit actions now. If you follow this advice, you could see your score improve dramatically in the next 6-12 months. Video: How do credit inquiries impact your credit game? In our next Game of Good Credit video, we explain the ins and outs of credit inquiries. Learn the difference between hard and soft inquiries, how long they remain on your report and how they affect your credit score. However, if you apply for a loan or credit card, that creates a “hard inquiry.” One or two hard inquiries within a certain time is fine – the effect on your game is still neutral. But if you have credit applications – one after another – within a six-month period, then it becomes an issue that can set you back from the high score you want. 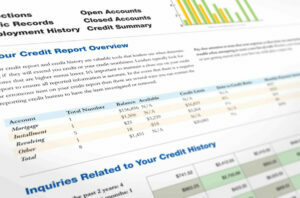 Have any questions about credit reports or credit repair? Ask our certified financial coaches, so you can start rebuilding your credit with the right information.